It is probably super ridiculous to write a travel blogger review 2017 in mid-February 2018 and this is probably the latest travel blogger review someone has ever published. But I didn’t have time to write it before and 2017 was an incredibly exciting and eventful year for me with many ups and a few downs, definitely a year like no other. It would be a shame not to write a travel blogger review 2017 especially since I had published one every year for 2013, 2014, 2015 and 2016. 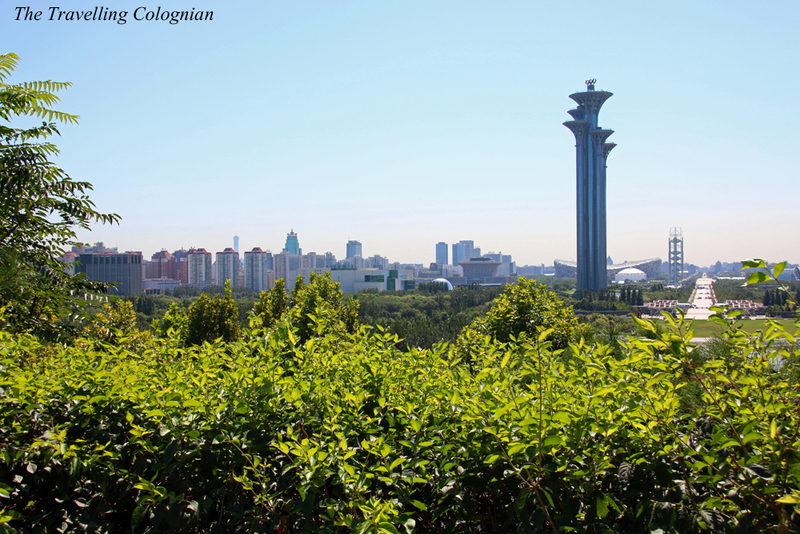 Since the summer of 2014 I had tried to get a job as an English teacher in Beijing. To increase my chances in finding a serious, reputable job, I had specifically done a TEFL course between late August and early October 2015 (TEFL = Teaching English as a Foreign Language) and received the TEFL certificate with an outstanding degree. Between August 2014 and May 2016 I have been in Beijing four times, three times specifically to apply for jobs as an English teacher on site. Unfortunately it is almost impossible to get a legal work visa (Z visa) with which you can work in China legally when you don’t have a passport from the United Kingdom, the United States of America, Canada, Australia, New Zealand or South Africa. Sadly I didn’t know that when I did the TEFL course. Things are different when you have a Master of Education plus two years of teaching experience or a successfully passed second state examination to become a teacher, independently from the teaching subject. To teach German legally without a second state examination you need the German as a foreign language (DaF) certificate as far as I know. This course is a lot more expensive and learning-intensive than the TEFL course. But in late May 2016 it seemed as if I had found a great job at a private school in Beijing. I had had a really good Skype interview and had signed a contract with a very good salary and several extras. The school had promised to obtain the work visa for me. In the following one and a half months I gathered all the necessary documents and had several thorough medical examinations carried out. In mid-July I gave my documents to Mill and Leon, two friends in Beijing, who handed them over to the private school. But then nothing happened for several months. The school consoled me again and again until I finally had enough at the end of December 2016 and reclaimed my documents. My American friend Mill picked them up at the school and my Chinese friend Leon who frequently leads Chinese tour groups through Europe brought them back to me to Germany. Thus we at least had the opportunity to have dinner together with a friend of him. With the return of my documents a long-standing dream of mine bursted like a soap bubble. But I didn’t want to bury my desire to live in Beijing for a while. 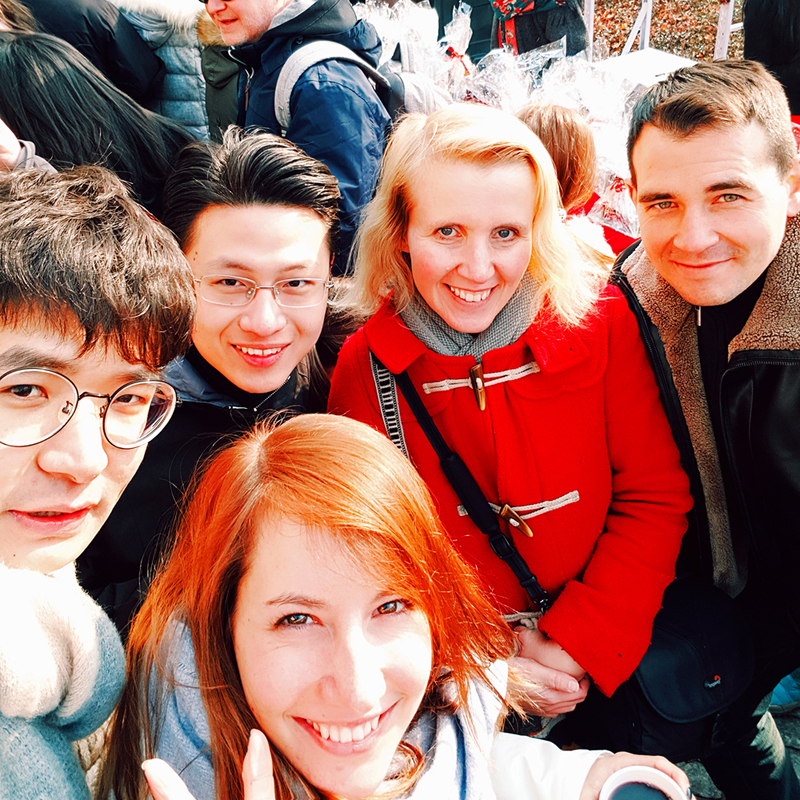 I had found out that the University of Cologne has a partnership with the Renmin University of China in Beijing and that enrolled students of the University of Cologne have the opportunity to apply for the Chinese language programme at Renmin University. Since I was enrolled at the University of Cologne because of my Chinese and a few other courses anyway this became my plan B. 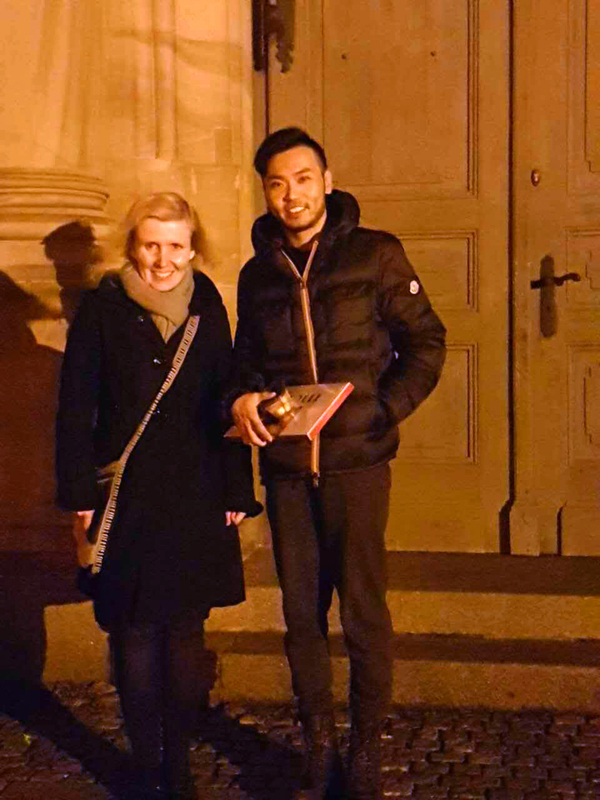 At the beginning of March I submitted all application documents for the Chinese language programme at the Renmin University of China in Beijing at the International Office of the University of Cologne. On March 9 I flew to Kathmandu via Muscat. 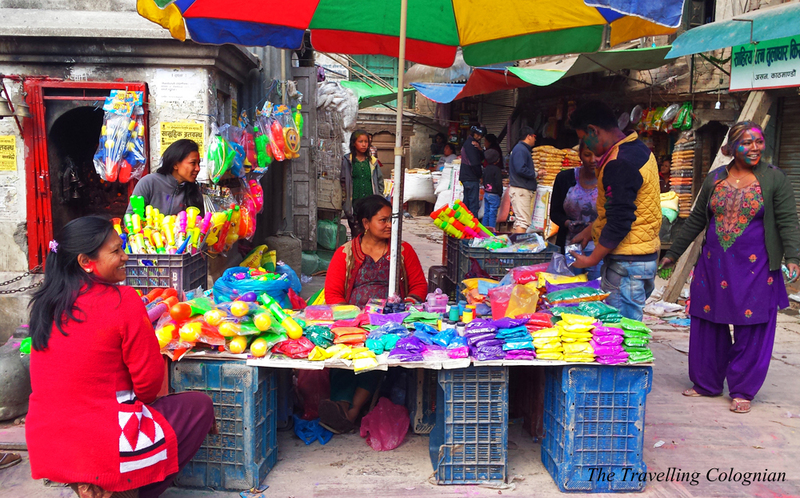 It was my second stay in the Nepalese capital. 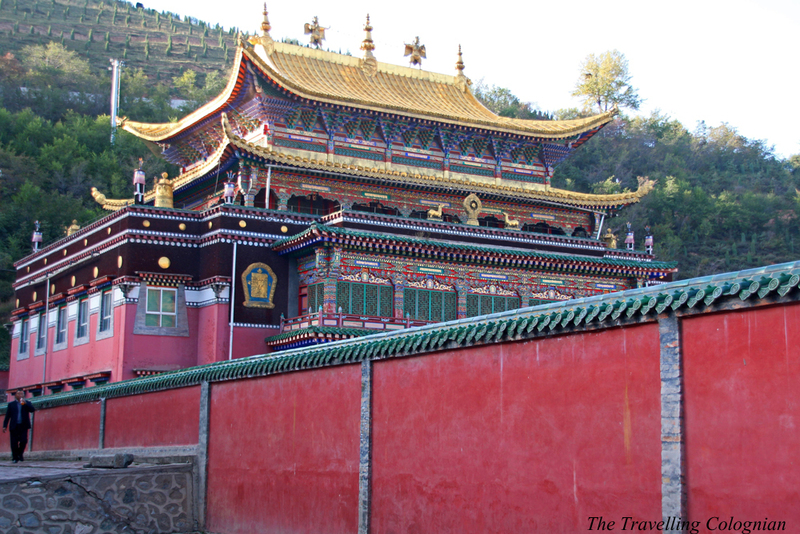 In August 2010 I had spent five and a half days there at the end of my tour through Yunnan and Tibet. 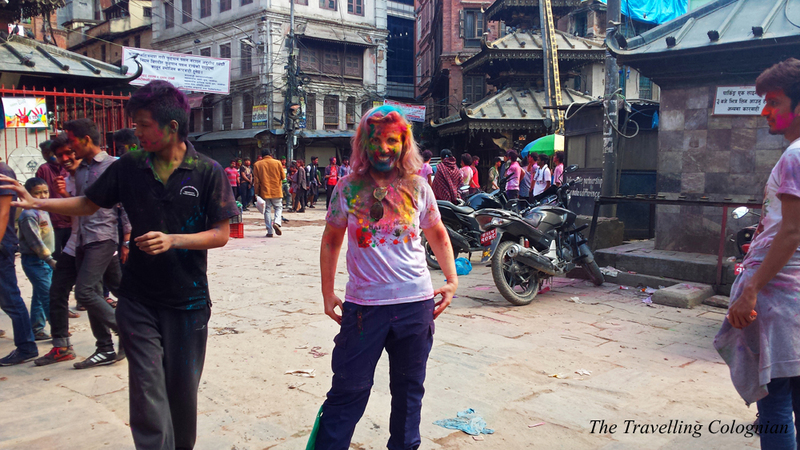 This time I spent three days in Kathmandu. 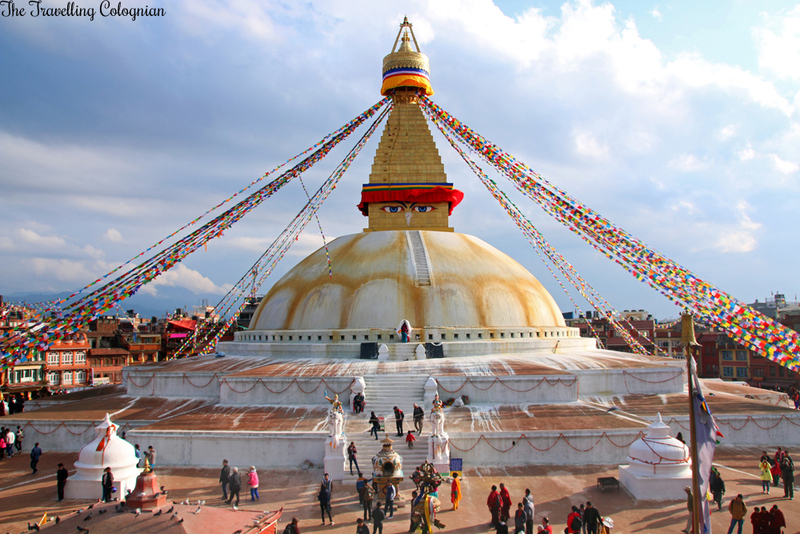 I revisited Boudhanath, one of the largest stupas worldwide. 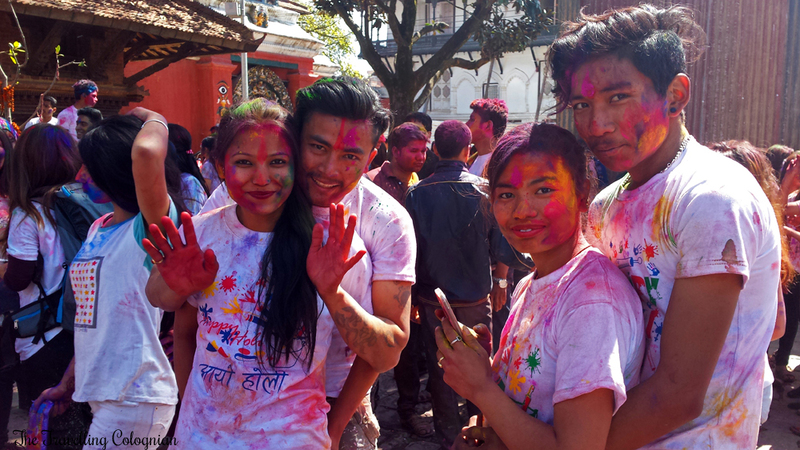 Furthermore I participated in the Holi Festival aka the “Festival of Colours” before continuing onto Paro, the city with the only international airport of Bhutan, on March 13 . 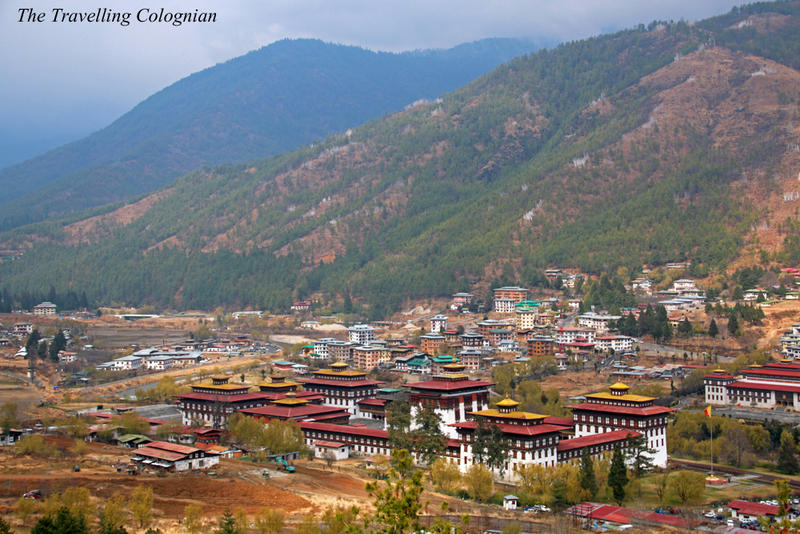 For Bhutan I had booked a tour named “Bhutan Adventure” with G Adventures, a Canadian adventure travel company which offers small group tours, and I had received a discount as a travel blogger for the first time. In return I wrote a blog article about the tour and published a few posts on my social media channels. I was particularly happy about this cooperation because I had already done a few tours with G Adventures and I was enthused by most of them. Furthermore I like the company and its philosophy. 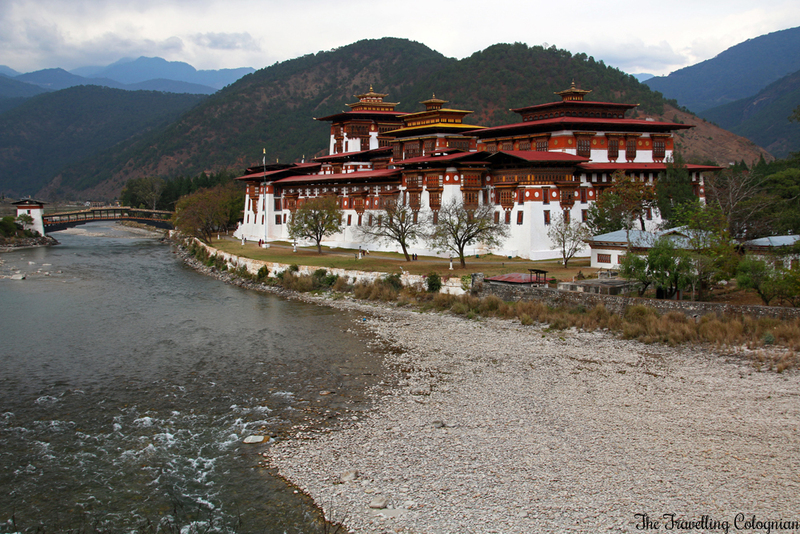 In Paro we visited the Paro Dzong and the Kyichu Lhakhang Temple, the oldest temple of Bhutan. 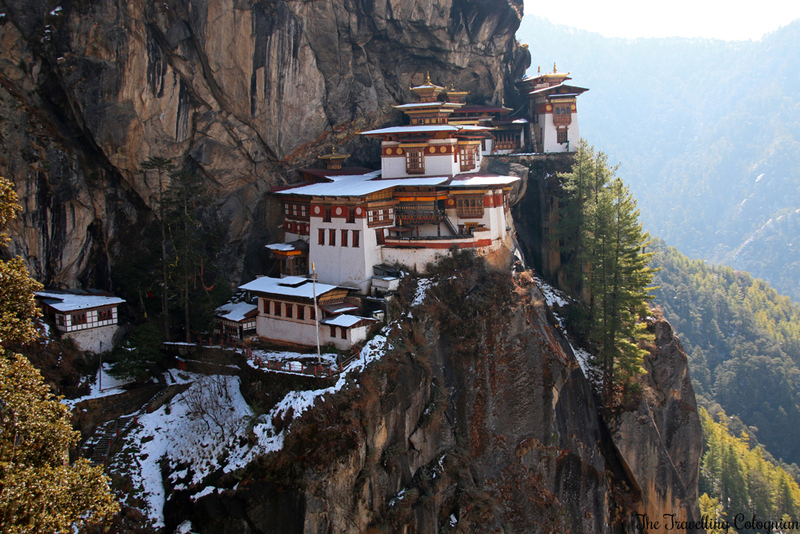 Furthermore we hiked up to the most famous landmark of the country, the Tiger’s Nest aka Taktsang Monastery, which is located at a height of 3.120 metres. On the third and fourth day of the tour we did a two day hike along the Bumdrak Trek which was completely covered with snow. At Bumdrak Camp we slept in tents at 4.000 metres altitude. 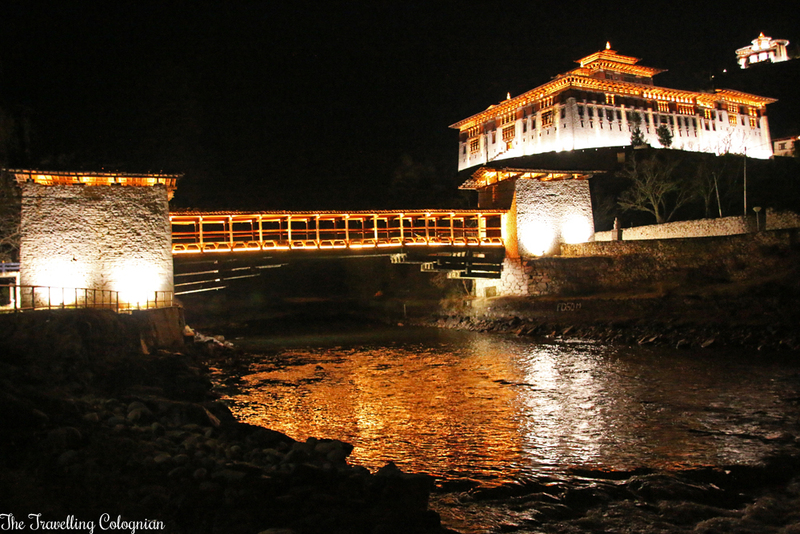 After the descent we drove to Thimphu, the capital of Bhutan, where we explored the National Memorial Chorten, a weaving mill, the Buddha Point, the National Art School, the Motithang Takin Preserve, the National Library, the weekend market and the Thimphu Dzong aka Tashichho Dzong. From Thimphu we drove over the Dochula Pass to Gangtey Valley. 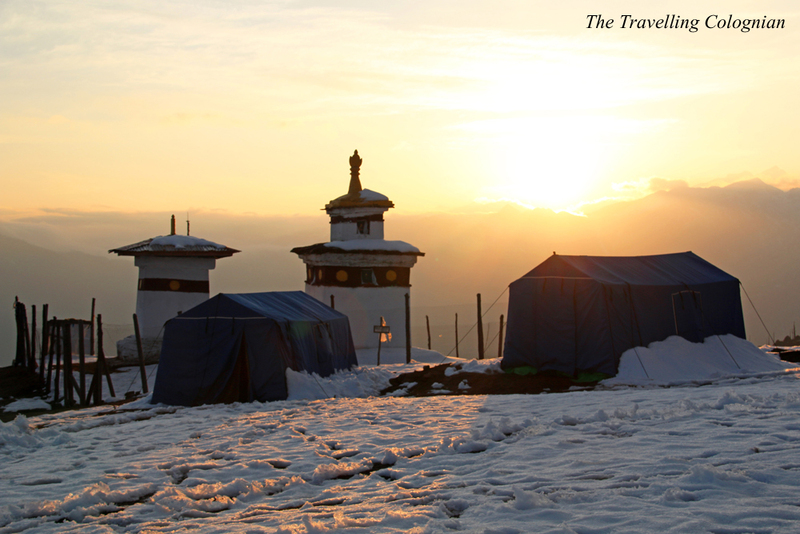 From the Dochula Pass we had a stunning view of the Himalayas and of the highest peak of Bhutan, the Gangkar Puensum. 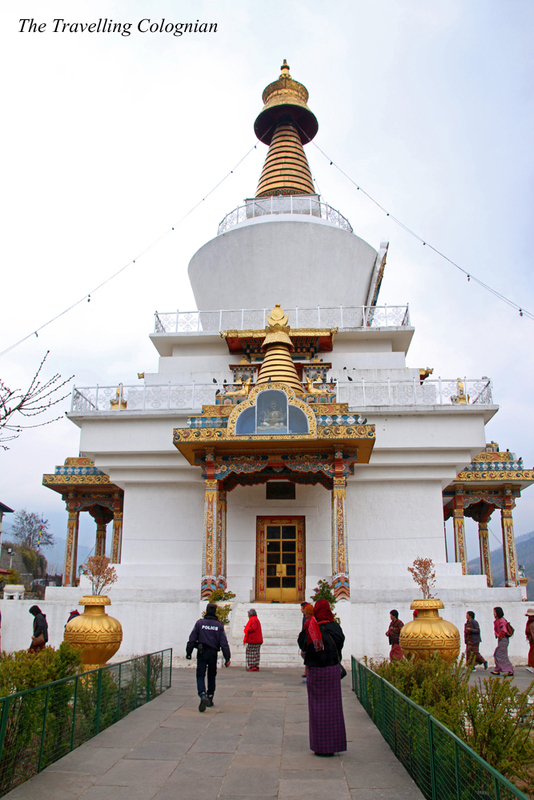 In Gangtey Valley we visited the Black-Necked Crane Centre and the Gangtey Gompa. In Lobeysa close to Punākha, the former capital of Bhutan, we wandered to the Chimi Lhakhang Temple which was built in 1499. 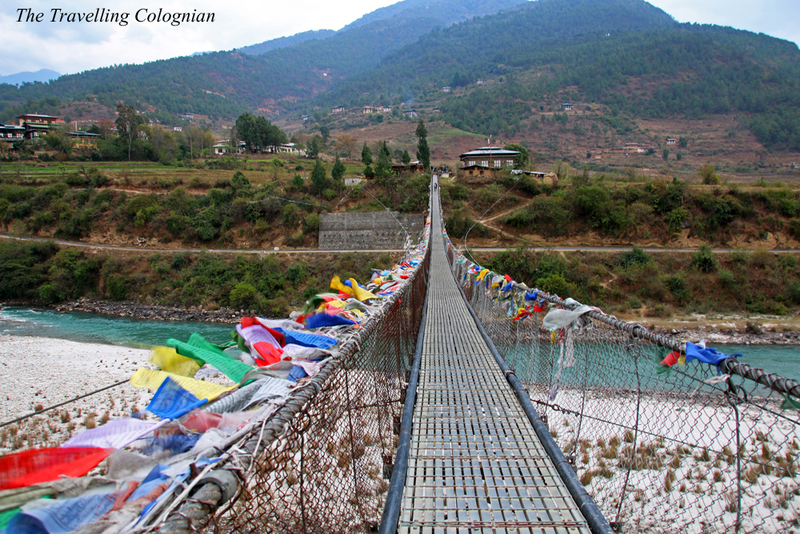 Afterwards we explored the Punākha Dzong in Punākha and then crossed the longest suspension bridge of Bhutan. The following day we drove to Haa Valley in the West of the country where we visited the Lhakhang Karpo aka White Temple. On the way to Haa Valley we made a lunch break in Thimphu. 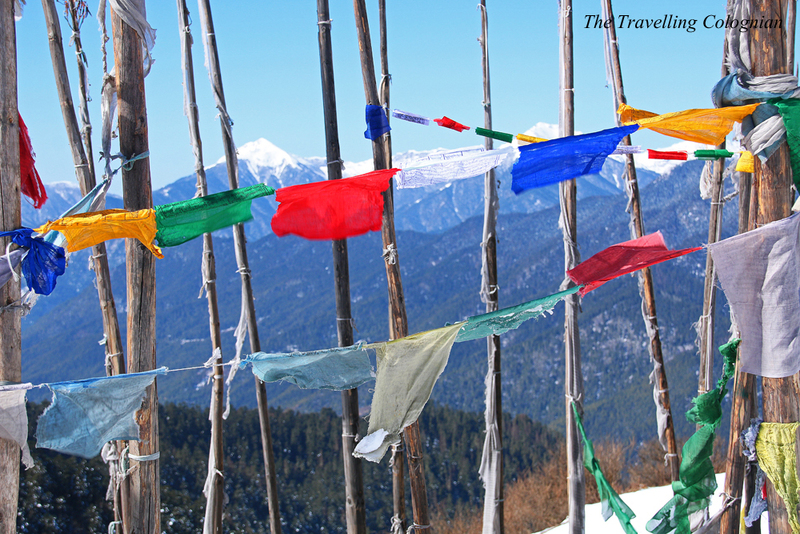 On the way back to Paro we hung up prayer flags at the Chele La Pass, the highest passable mountain pass of Bhutan. 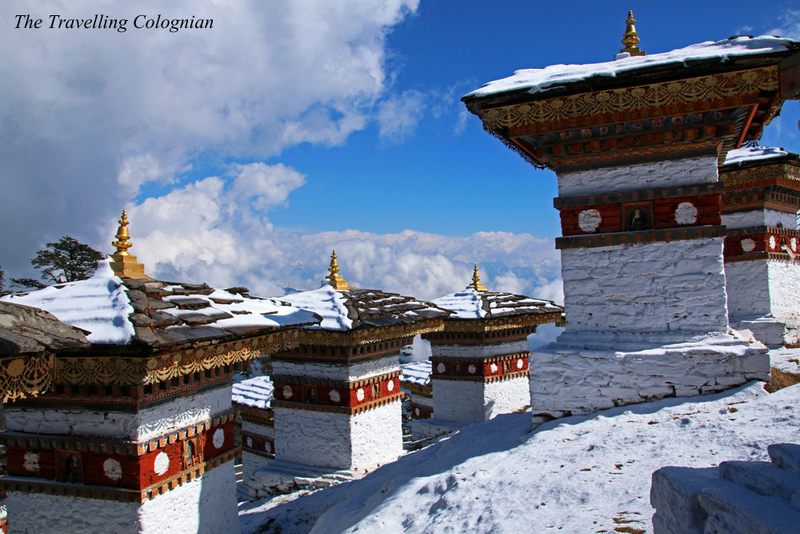 We had to cancel our subsequent visit of the Kila Gompa Nunnery due to weather conditions since the road leading there was blocked by snow and icy roads. As a compensation our Bhutanese tour leader Kinley organized a picnic for our group at a riverbank with a stunning view. On our last evening Kinley and the tour leader of another group organized a farewell party with Bhutanese dances which were performed for us by locals. The following morning I flew back to Kathmandu. I spent four days there before I returned to Germany. 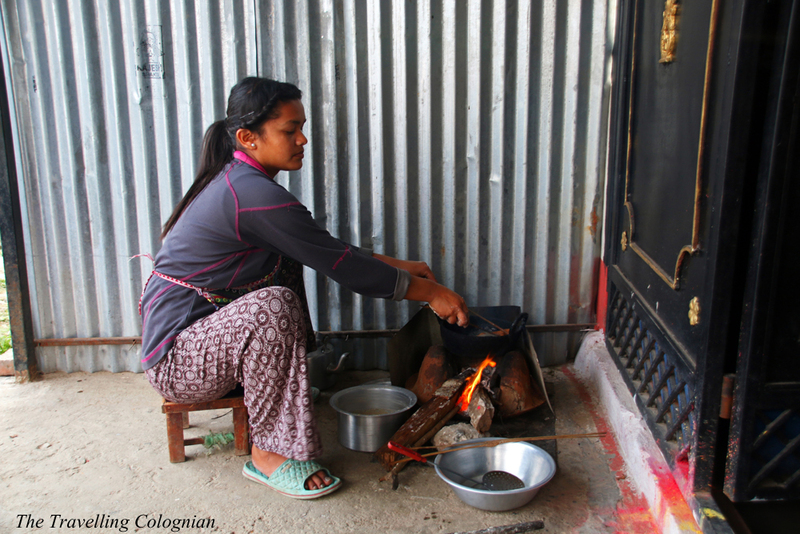 During my stay in the Nepalese capital I revisited the Swayambhunath Temple and attended a Nepalese cooking course in a village near Kathmandu. 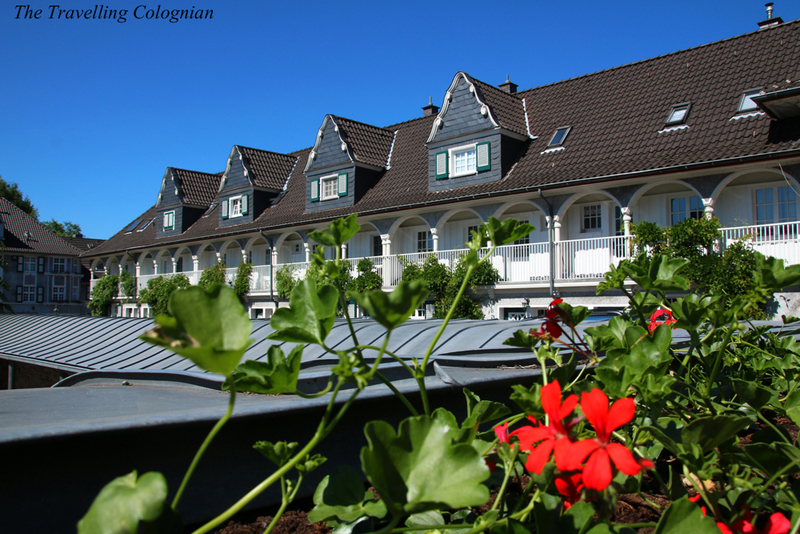 In April I headed to a travel blogger meeting in Bonn. 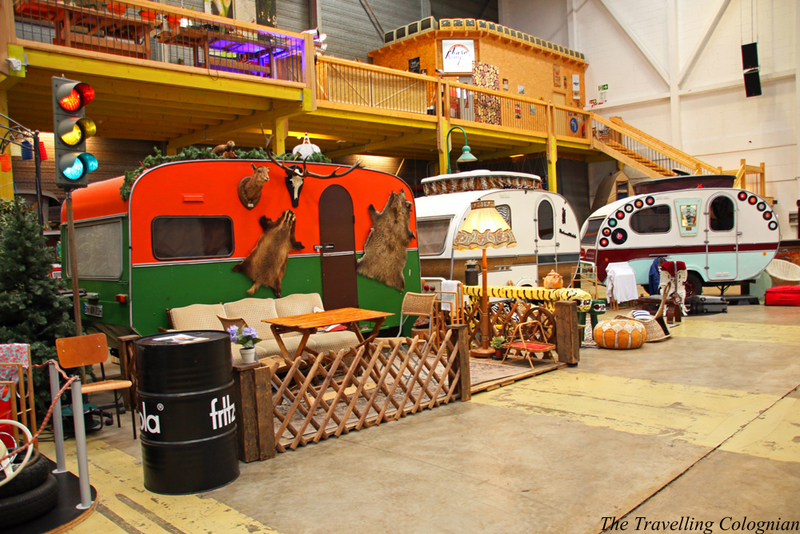 We met at Basecamp Bonn, a quite extraordinary hostel, where you sleep in caravans instead of dormitories. We started with a guided tour through the former government district with our tour guide Soledad Sichert from Bonntouren. After enjoying finger food and cold drinks at the Basecamp Bonn and an Instagram training with Michèle Lichte we were guided through the hostel. Finally we did an Insta Walk through the historic centre of Bonn. I was invited to the travel blogger meeting by Melli from Mosaiksteine and Ariane from Heldenwetter, Basecamp Bonn, Bonntouren, Michèle Lichte and Bonn Tourismus. At the end of May I attended #RBRUHR, another, this time two day, travel blogger meeting in Essen which was organized by Janett from Teilzeitreisender and Anja from Travel on Toast. After interesting speeches and an opulent barbecue buffet for lunch at the ATLANTIC Congress Hotel Essen we split into two groups. While the others explored several industrial cultural sights of the Ruhr area, our group discovered Essen as the European Green Capital 2017. We visited the community garden Siepental, the Niederfeldsee, the garden city Margarethenhöhe and the rural Essen-Schuir. We did a boat trip on Baldeney Lake and then met the other group at the Seaside Beach by the lake. On the terrace of the hotel we brought the day to a close with a delicious dinner. The following day after breakfast we took a walk through the neighbouring Grugapark. I was invited to the travel blogger meeting by Janett and Anja, the ATLANTIC Congress Hotel Essen, the project office European Green Capital and Ruhrtourismus. On June 19 I received the confirmation that I was accepted for the Chinese language programme at the Renmin University of China in Beijing for the winter semester 2017/18. I could hardly believe it. I had waited for so long to live in Beijing for a while and now my dream came true. I applied for a room in one of the student residences on the university campus right away. 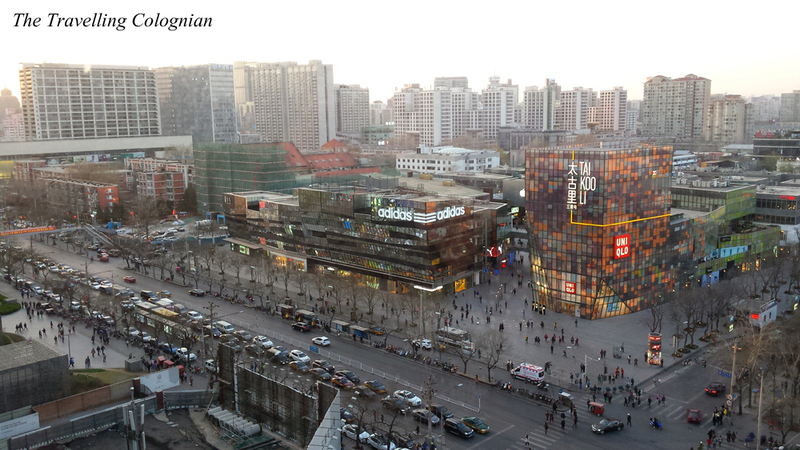 This is by far the least expensive accommodation in Beijing where living space is scarce and very expensive. I also booked my flight to Beijing via Dubai and applied for my student visa at the Chinese Consulate General in Frankfurt only a few days later. At the end of July I received a commitment for a single room in one of the student residences on the campus of Renmin University. Apart from that July – like August – was a pretty busy month. Besides my regular work I had to go through several formalities which I had to do for my stay abroad in Beijing. 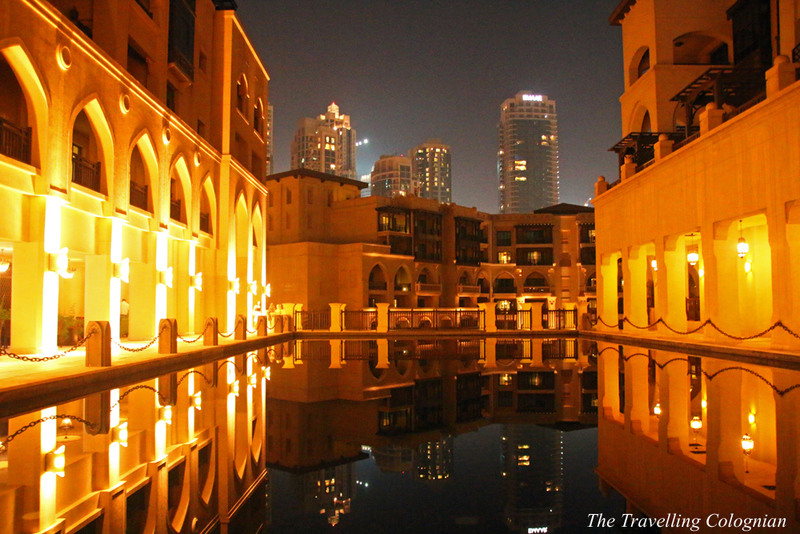 On August 31 I flew to Dubai where I spent two days. Since I was quite tired from the stress of the previous months and also because of the relatively high temperatures of 45 degrees Celsius I took things easier than usual. I enjoyed the great hotel breakfast buffet and spent some time in the shadow at the hotel pool during the daytime. 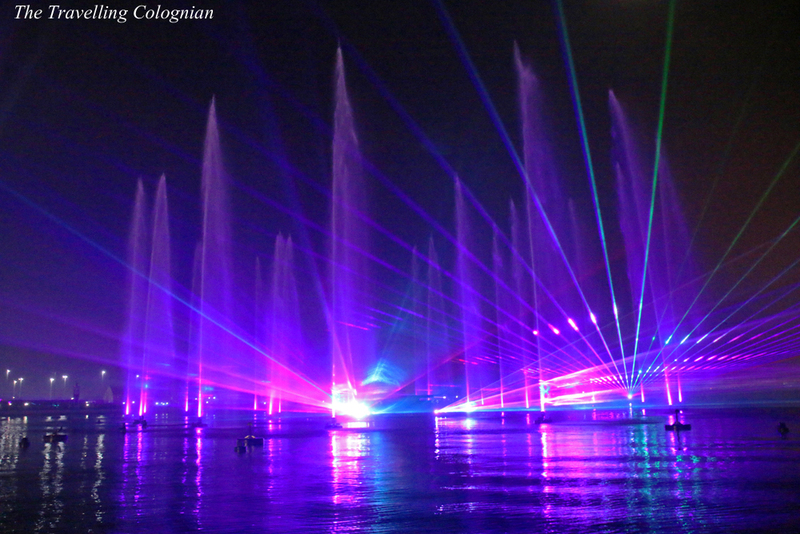 On my first evening in Dubai I headed to the Dubai Festival City where a “Fire, Water & Light” show is organized several times a day and in addition two fireworks per evening because of the Eid al-Adha holidays which took place during my time in Dubai. 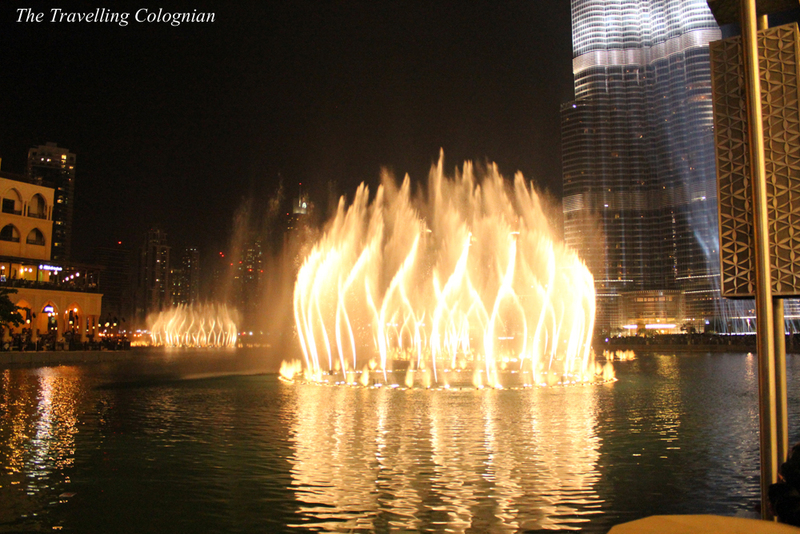 I spent the late afternoon and the evening of my second day in Dubai in the Dubai Marina and in the outdoor area of the Dubai Mall where I had dinner and watched the Dubai Fountain Show. On September 3 I flew from Dubai to Beijing at around 4 AM. 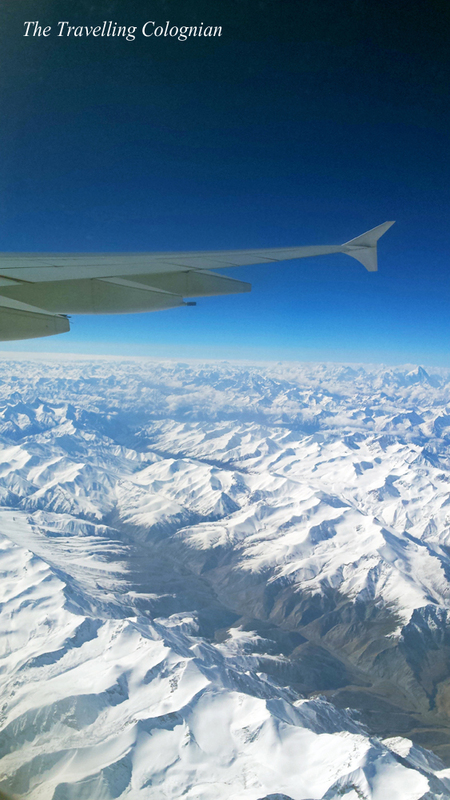 During the flight I had a stunning view of the Tian Shan Mountains. In Beijing I had booked a hotel room for the first three days. Nevertheless I registered myself for my room in the student residence the following day. Two days later I moved in and registered myself as a student at the Renmin University. Thereby I met Kristin, another German. 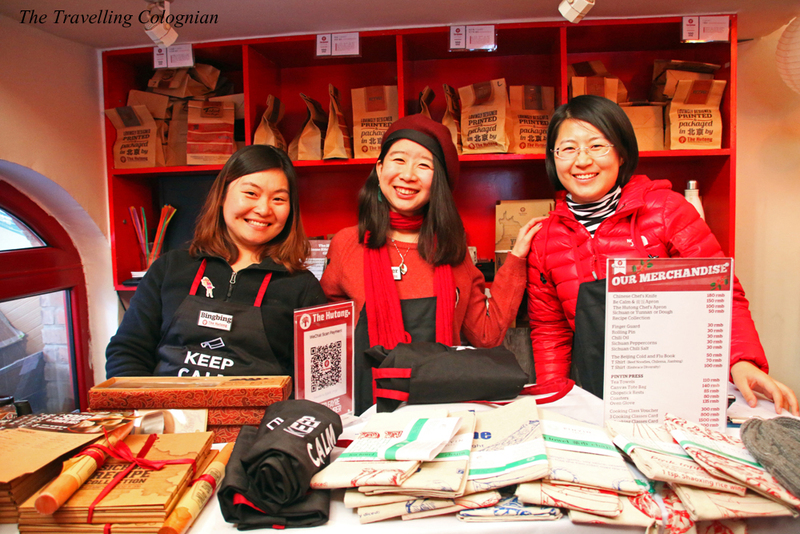 At “Laneway Coffee”, the café in the basement of the International Culture Exchange Centre, I met Simon* and Friederike (Freddie) from Germany and Carlos from Spain plus three female students from the University of Cologne who were in Beijing with the same programme like me. On the following Saturday I attended an introductory event of the International Student Office of the university with a subsequent tour of the campus. 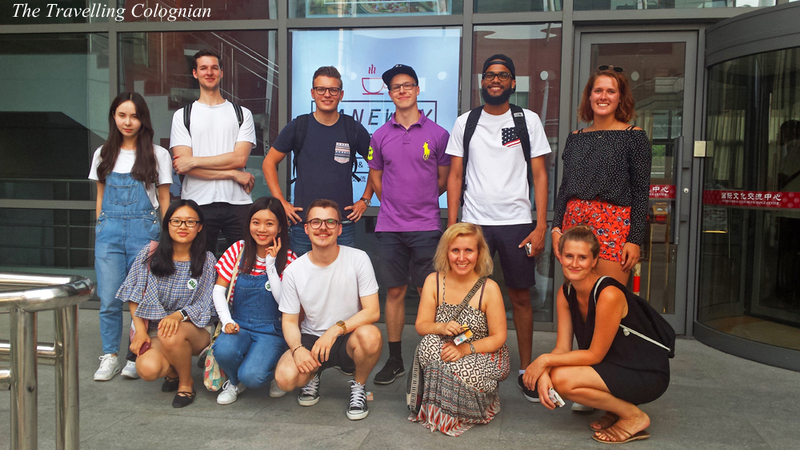 After a placement test of the Chinese language programme the following week we were divided into our courses. There were 15 people in my course including myself. My classmates hailed from Russia, the Netherlands, Finland, the United States, France, Mongolia, Slovakia and India. There was also another student from Germany named Tobias in my course. Together with my American friend Mill who lives in Beijing for many years I did a hike through the Olympic Forest Park in the North of Beijing in my second week. Two and a half weeks later we indulged a delicious Hot Pot lunch.In August 2010 she was my tour leader on my first China trip through Yunnan and Tibet. Ever since we kept in touch, we had met several times when I was in Beijing in the last few years and we became really good friends. 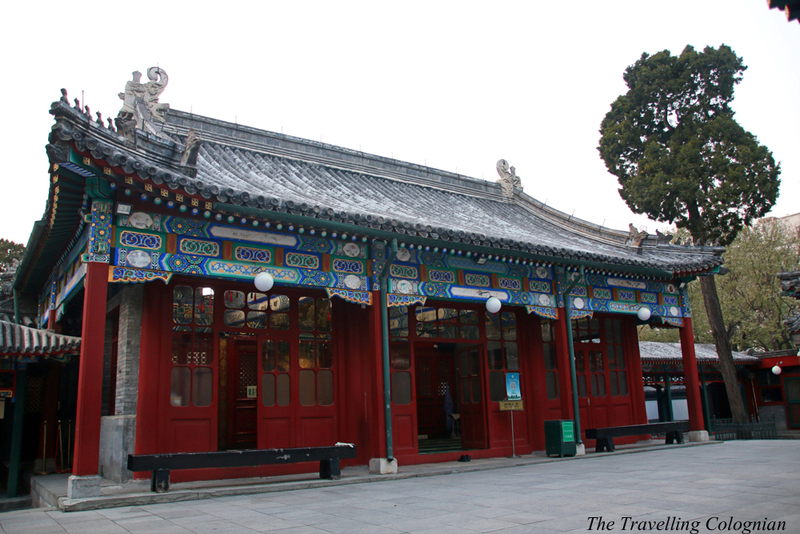 In my free time I also visited Shichahai and my most favourite temple, the Lama Temple aka Yonghe Gong, yet again. Furthermore I explored Ritan Park which was a new site for me. On September 21 Kristin, Freddie, Tobias, Simon plus Alex and Michail – two other Germans – and I celebrated the day of German Unity at the German embassy in Beijing. 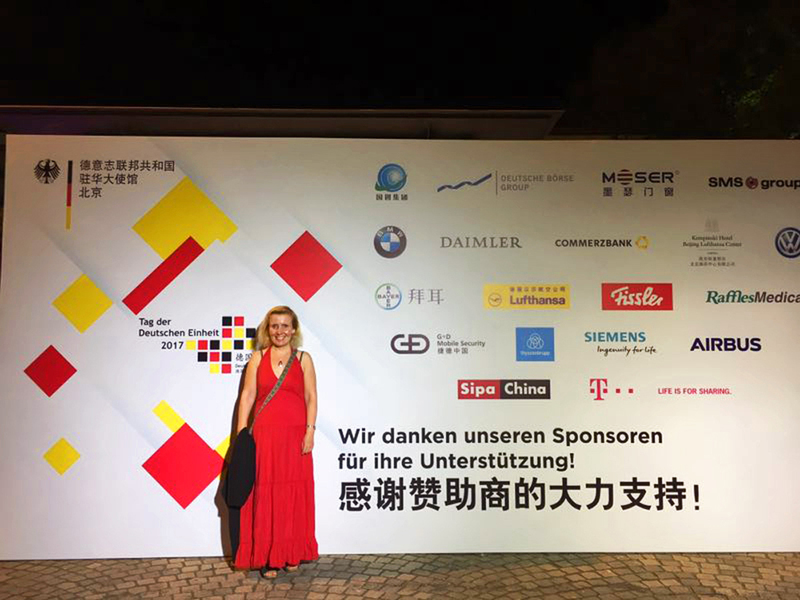 The celebrations took place two weeks prior than the actual day of German Unity because the German embassy was closed on October 3 due to the holiday week after the Chinese National Day which is on October 1. 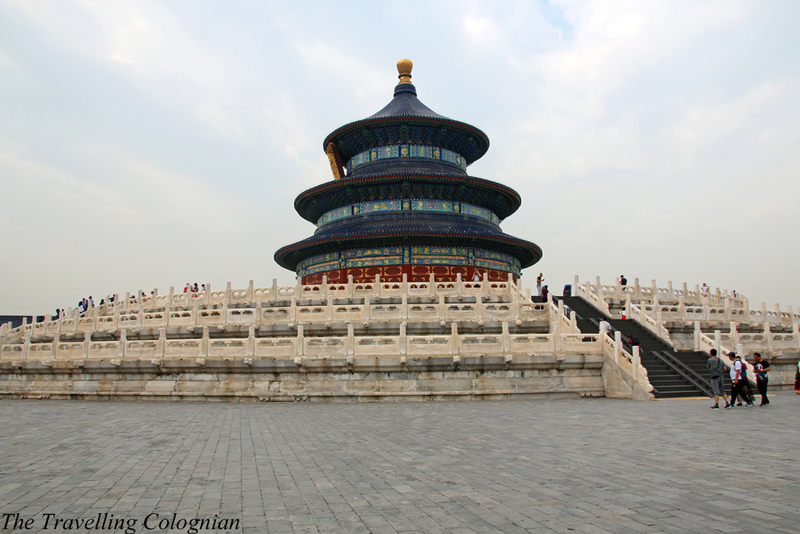 Three days later Freddie, Carlos, Li – a Chinese friend of Freddie -, a friend of Li and I explored the Temple of Heaven and the neighbouring park, the Qianmen Street, a neighbouring Hutong and the Tong Ren Tang, the largest pharmacy for Traditional Chinese Medicine. On September 30 I flew from Beijing to Lanzhou, the capital of Gansu province, early in the morning. From there I took the airport bus, the taxi and the public bus to Xiahe, trying to communicate with the locals by using a mix of English and my very basic Mandarin. At the Nirvana hotel, where I stayed in Xiahe, I met Leona and Brian, a lovely Canadian couple with whom I sat together in the evening and for breakfast. On October 1 I did a day trip to the Sangke Grasslands where I visited the Sangkok Wetland Park. I was invited to a Tibetan nomadic family’s tent for Tsampa, the Tibetan bread, and Tibetan yak milk tea. Lunch was served in a small nomadic village. 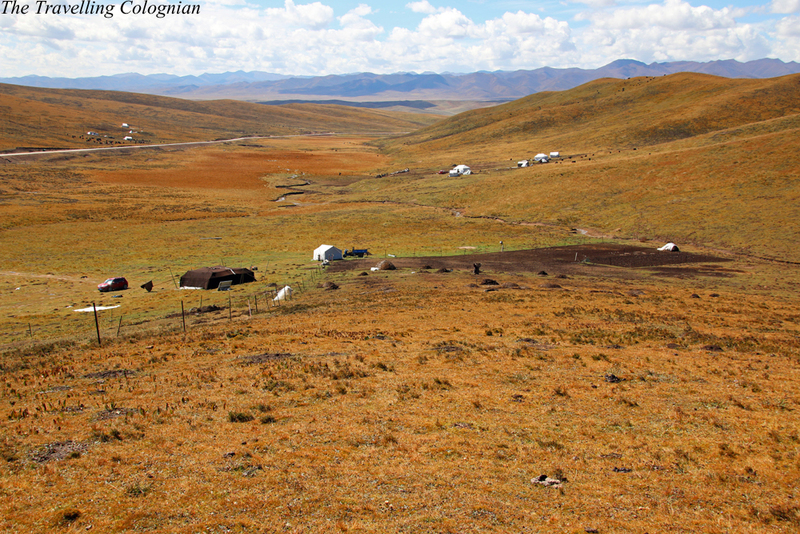 On the way from and to Xiahe I saw herds of yaks in the vast expanses of the grasslands. I had booked the tour through Wandhikhar, the Tibetan owner of the Nirvana Hotel. Since there were no other interested people, I did the tour alone as a private tour, only accompanied by a Tibetan driver. 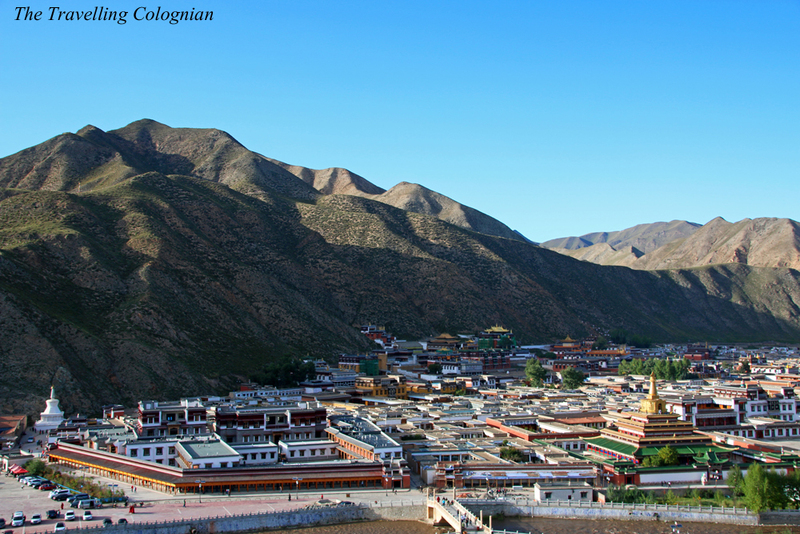 After my return to Xiahe I ascended a hill from where you have a stunning view of Labrang Monastery and Xiahe. Then I walked around the outer Kora of Labrang Monastery on the recommendation of Wandhikhar since the weather was supposed to be bad in the following days. In fact the weather wasn’t good the next day. 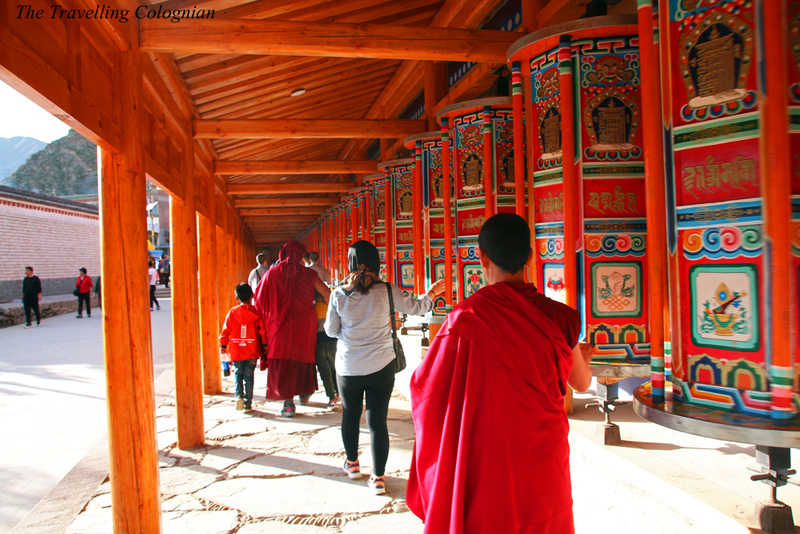 Nevertheless I took a free English guided tour through Labrang Monastery before I explored it exentensively on my own. 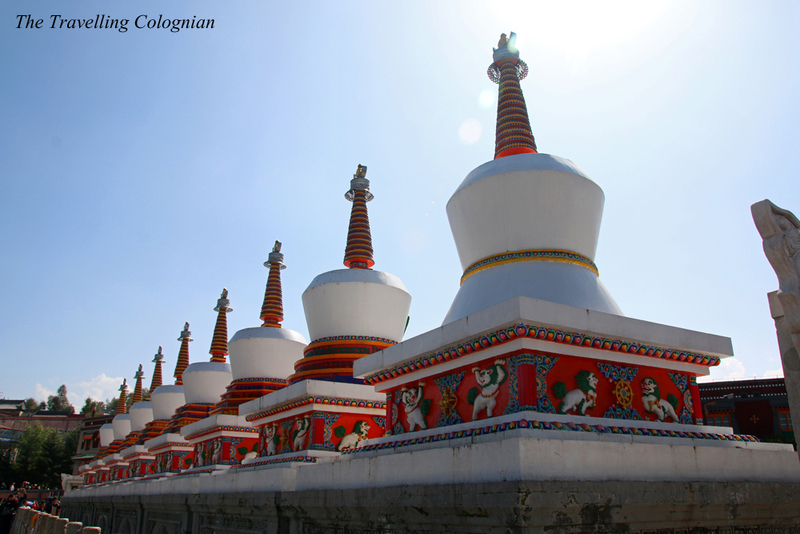 Labrang Monastery is one of the most important monasteries of Tibetan Buddhism and one of the six Gelugpa schools. 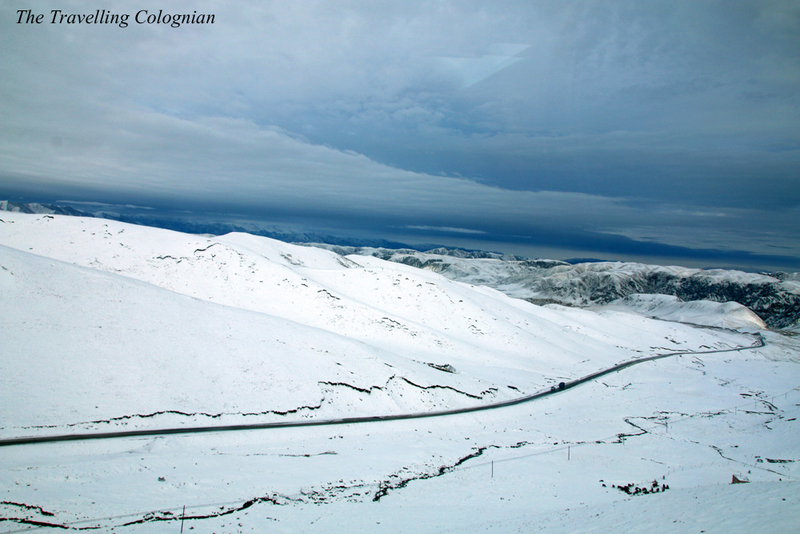 There was sleet when I left Xiahe in the early morning of October 3 to take the public bus to Xining, the capital of Qinghai province. 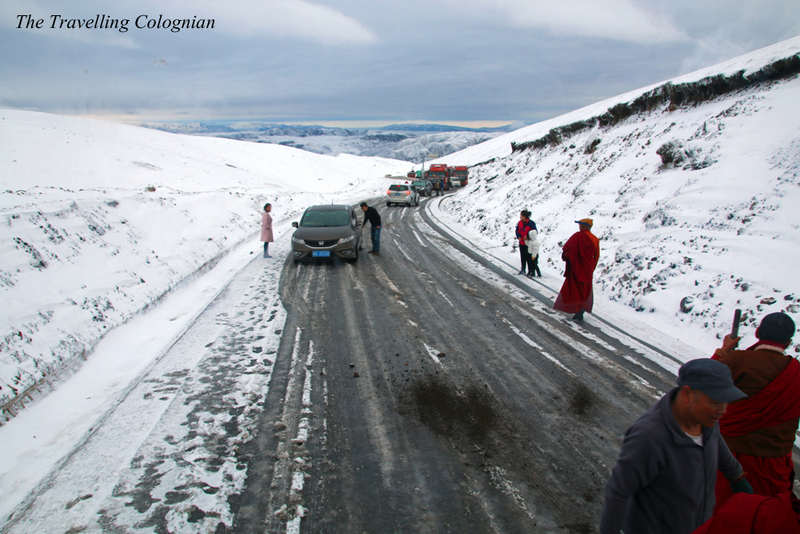 One hour after leaving Xiahe the bus got stuck in the mountains alike the trucks and cars due to ice and heavy snow. At least I didn’t know if and how we could continue. When I had booked my bus ticket at the hotel and when I had left it earlier that day I didn’t know that the weather conditions would be like this. I was worried that the bus might slide down the slope on the icy road. But the Tibetans knew how to deal with the situation. They prepared the tyres with simple chains instead of snow chains. Instead of road salt snow from the margins was shovelled away and the soil down beneath was thrown on the street. We arrived in Xining with only a little delay. 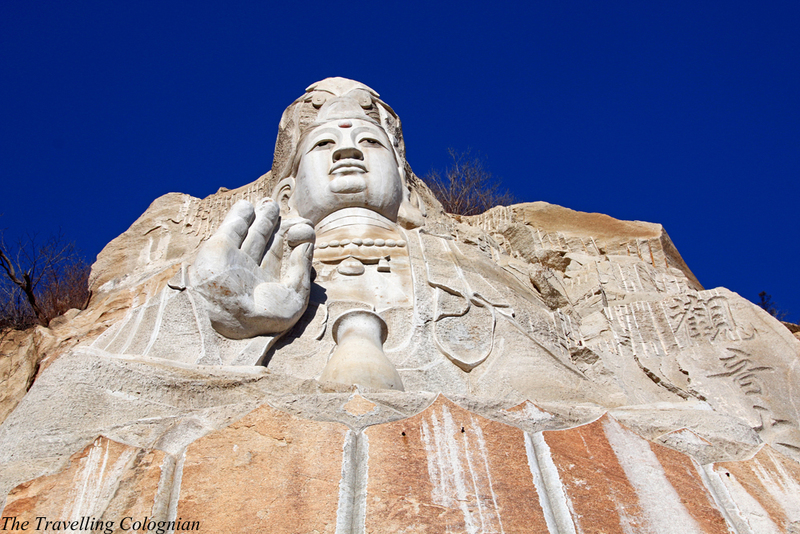 I took the public bus to Kumbum Monastery aka Ta’er Si which is located 25 kilometres outside of Xining. 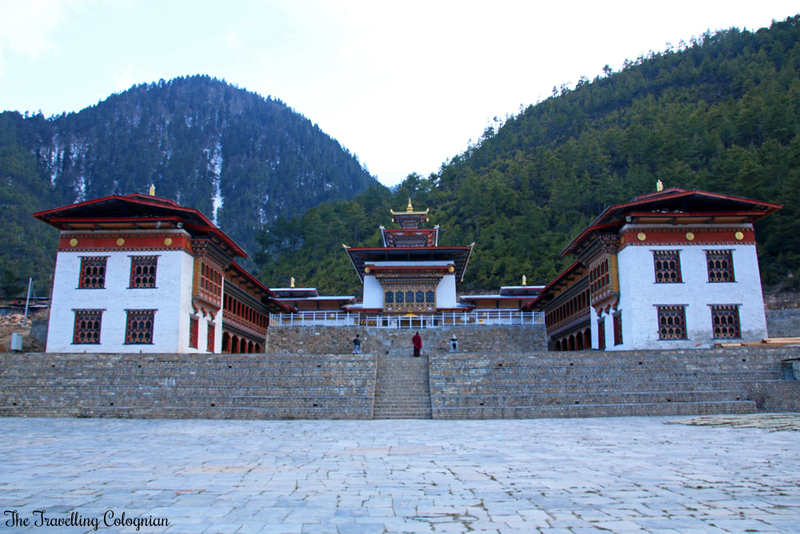 It is another important monastery of Tibetan Buddhism and another Gelugpa school. One day later I visited the so called Tibetan market in Xining where rarely Tibetan goods but mainly cheap clothes, shoes and lots of souvenirs and other paraphernalia were sold. 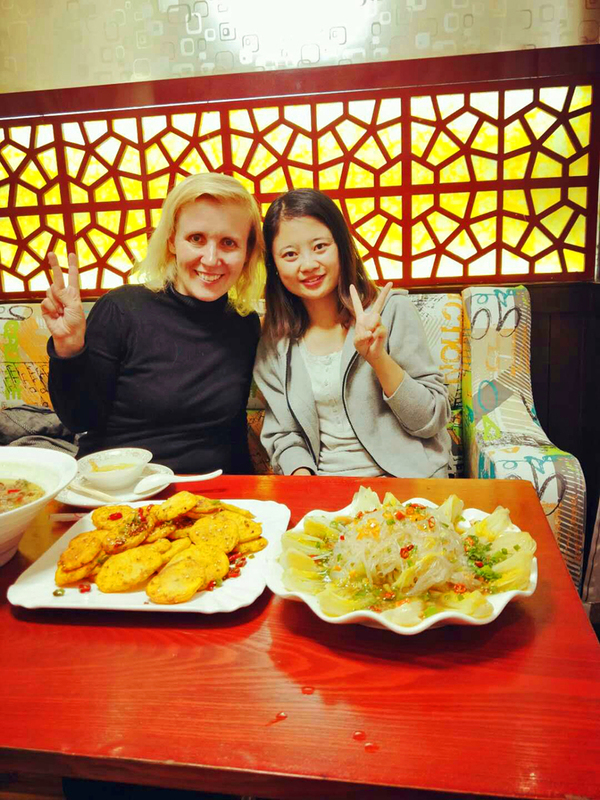 On my first evening in Xining I met Tina at the Greenhouse Coffee, a young Chinese female who was frequently there to practice her English with expatriates and foreign guests. 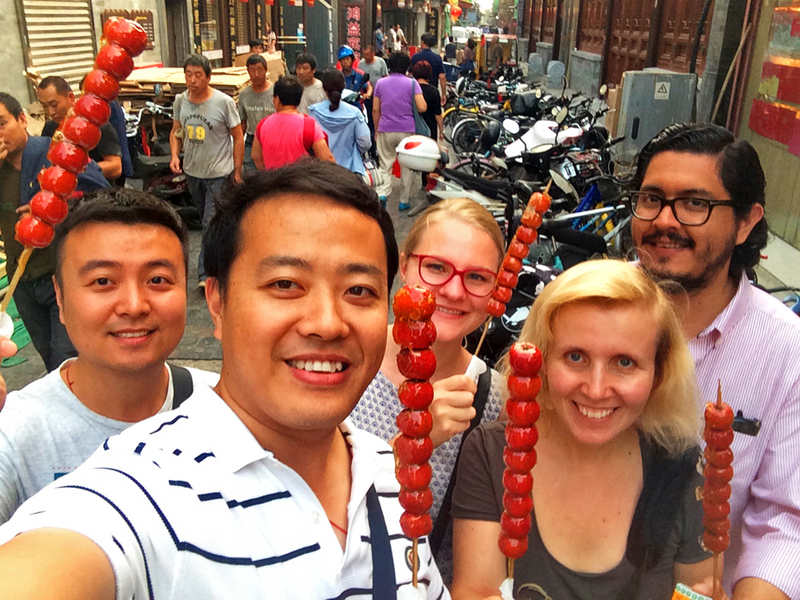 We spent all my three evenings in Xining together. Two times we hung out at the Greenhouse Coffee and on my last evening she invited me for dinner at a local restaurant. I took the train from Xining to Lanzhou. While this went smoothly and hassle-free I was facing a problem during the taxi ride to the hotel. HRS had only provided me with a German but not with the Chinese adress plus with the wrong telephone number of the hotel and wasn’t available itself. When checking out of the hotel the following day I was lost in translation because the only English speaking employee had her day off that day. While her colleagues tried to tell me that I hadn’t paid, I thought they tried to charge me twice. Eventually I called Kristin in Beijing who translated between the employees and me and cleared up the misunderstanding. From Lanzhou I took the plane back to Beijing. On a Friday evening our Chinese course plus a few people from other Chinese courses from uni went for dinner with Alice, the teacher of our listening course. One day later I was invited for Alex’ birthday. We were only five people and went for dinner at a Uyghur restaurant. Afterwards we let the evening die away at the “Laneway Coffee”. 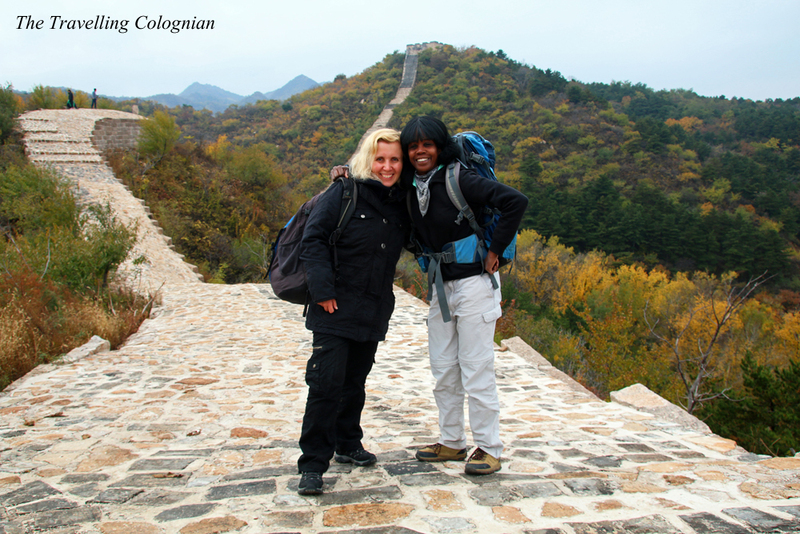 Together with my friend Mill I did a hike along the Longquanyu section of the Great Wall in Yanqing district which she led as a hiking guide. 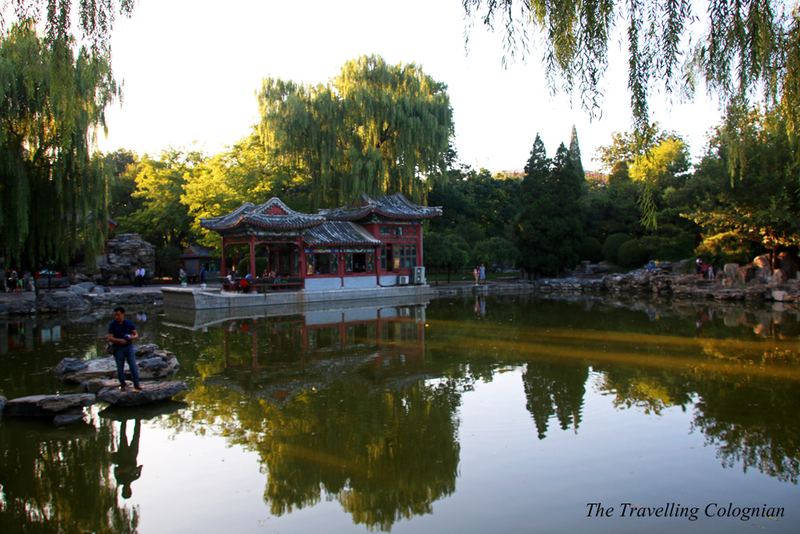 We followed a restored section of the Great Wall which led onto an unrestored part and ended at the Little West Lake. 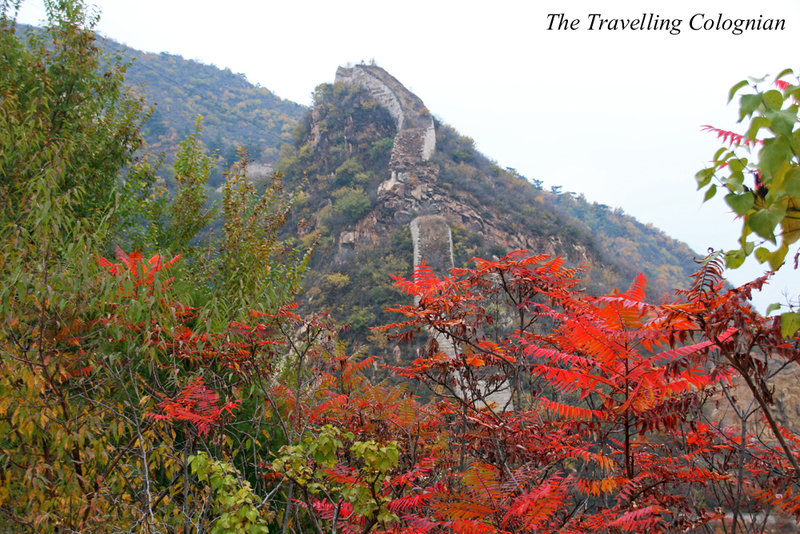 From the Great Wall we had a stunning view of the valley and the autumn coloured landscape. After returning to Beijing I was invited to the birthday of one of the students from Cologne which she celebrated at a Yunnan restaurant named “Little Yunnan”. In the next few weeks I returned with Mill for lunch at both restaurants, the “Little Yunnan” and the Uyghur restaurant where we had celebrated Alex’ birthday. 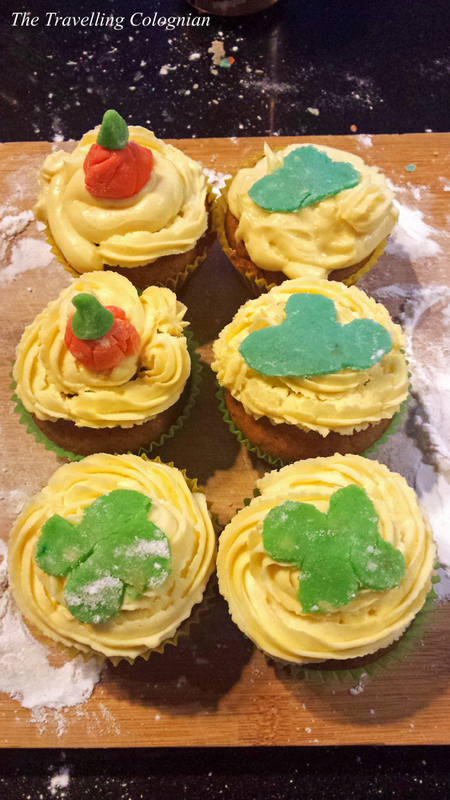 The following Sunday I did a “Pumpkin Cupcakes” baking course at “The Hutong”, a culture exchange centre which is located in a Hutong in Beijing. 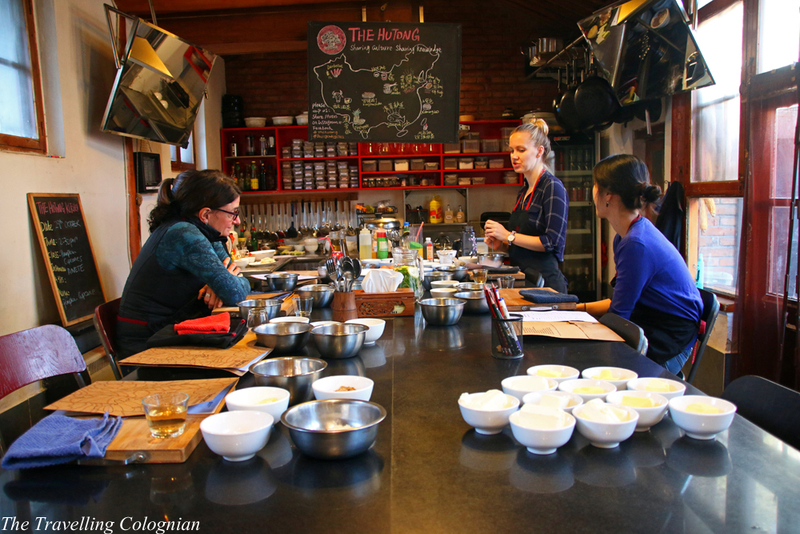 I had already done a few cooking classes there, inter alia a Yunnan cooking class and a course where I had learned how to prepare hand pulled noodles. In the evening I had Beijing Duck with Marie, a friend who lived in Shanghai, and a friend of her with whom she travelled through China at that time. Like in October I revisited the Lama Temple in November and spent quite some time in one of my favourite cafés in the neighbouring Hutong. I also found a new favourite café through Kristin which is located in the Fangjia Hutong close to the subway station Andingmen. Furthermore I explored the Niujie Mosque aka Ox Street Mosque which I didn’t know before. 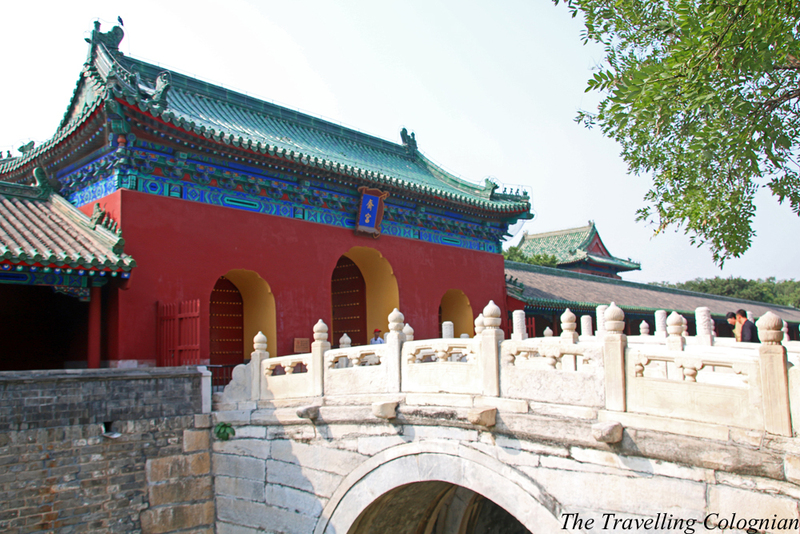 It is supposed to be the most historical and impressive mosque of Beijing. In this month we celebrated Kristin’s birthday in a restaurant which was owned by friends of her. Together with the owners and friends of them we sat in a private room and were served a huge variety of dishes which could have easily fed twice as many people. Originally we had planned to invite Kristin for dinner but the owners didn’t want to take any money and even paid our taxis back to university. Back there we had drinks at “Circle”, a café on campus. A few days later I had my first private Mandarin lesson at “Hutong School”, a private Chinese language school, in Sanlitun. There I had taken a trial lesson in March 2015 and afterwards paid a deposit for a one-month Chinese language course which I then couldn’t take for personal reasons. The language school had told me that they would keep the deposit but that I could use it for a Chinese language course or for private Chinese lessons anytime in the future or that I could also give it to friends. 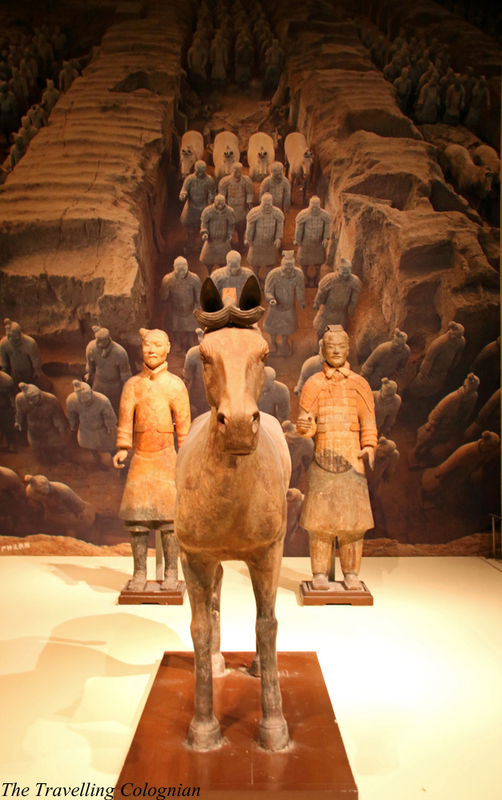 Together with Tobias I visited the Chairman Mao Memorial Hall and the National Museum of China. 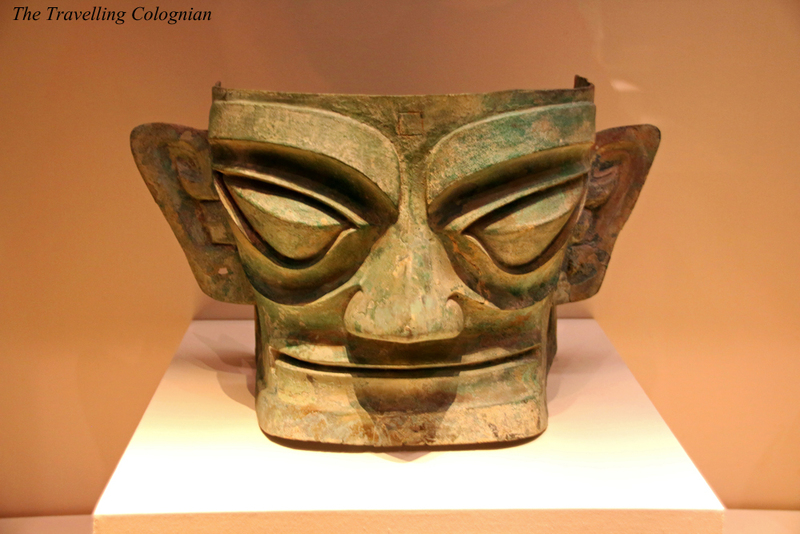 I had planned to visit the National Museum of China for quite a while so I was glad that there was finally an opportunity for a visit. On the first Advent Saturday Freddie, her neighbour, Kristin, Carlos, Alex, three Chinese friends of Kristin and I headed to the Christmas bazaar at the German embassy in Beijing. Since we didn’t have entrance tickets yet we had to wait in front of the embassy for more than one hour. But that didn’t matter because we had lots of fun and overall a really nice day. 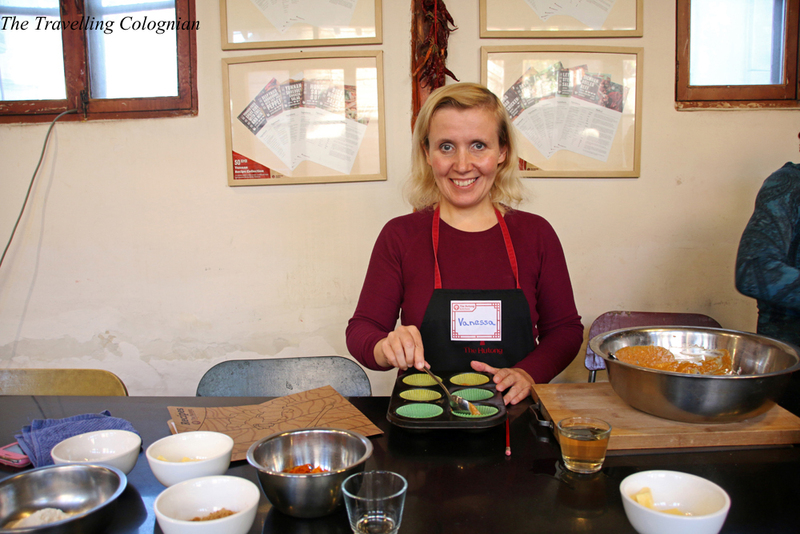 In December I took further private Chinese lessons at Hutong School and I also attended a few of their leisure activites. 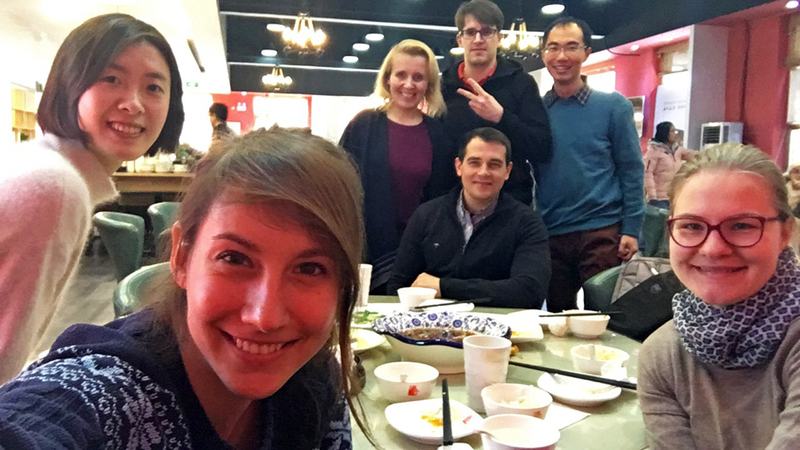 Together with Esperanza, the event manager of the school, and a few of the other language students I had Beijing Duck in a well-known Beijing Duck restaurant. One week later we performed karaoke at a KTV club in Sanlitun Soho. On the second Advent Saturday I met my friend Mill for a Hotpot lunch at my favourite Hotpot restaurant at Ghost street (Gui Jie) close to the subway station Beixinqiao. In the evening the International Student Office of the university organized a Christmas party at the “Laneway Coffee”. Afterwards we continued to celebrate at “Circle” café. 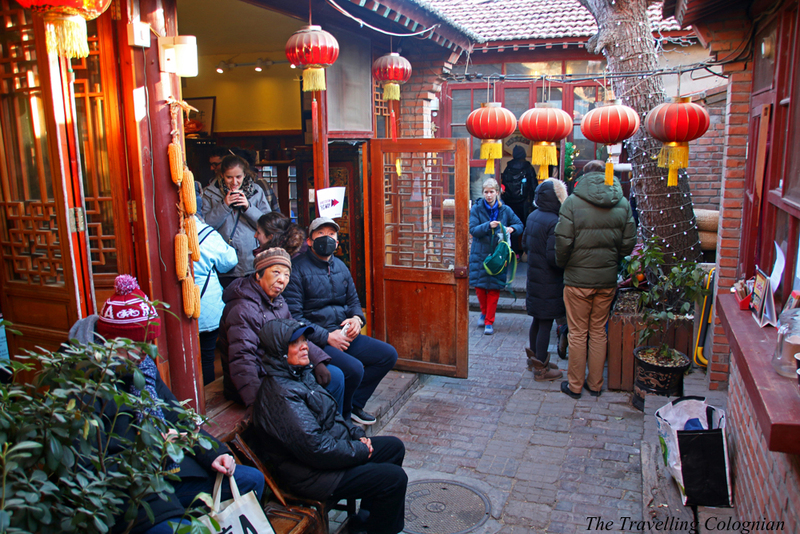 The following day I visited the Winter Fayre at “The Hutong”. 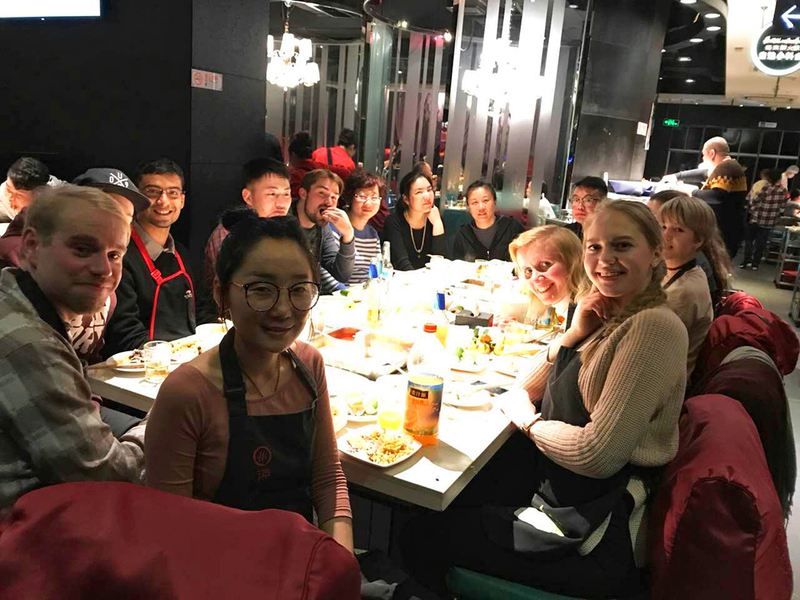 In mid-December our Chinese course and our three teachers went for a Hotpot dinner to a restaurant close to the subway station Bagou. 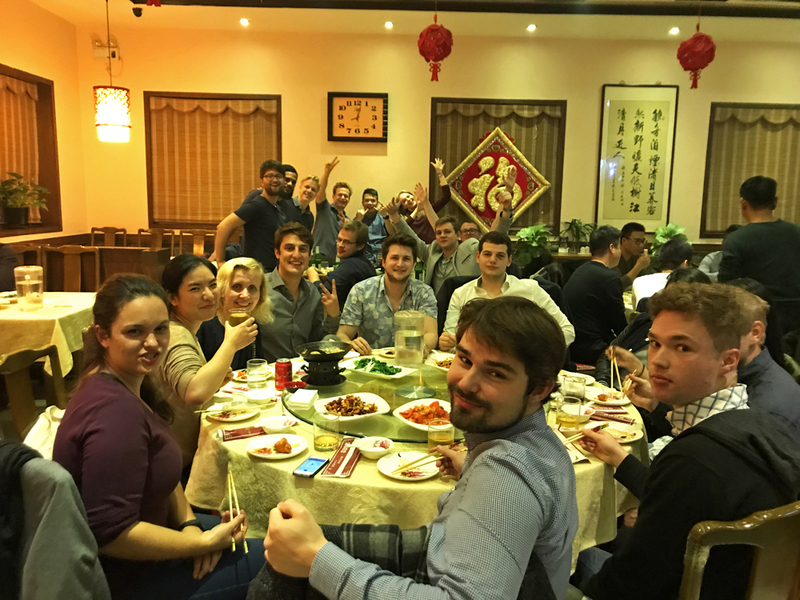 This was also some sort of farewell dinner since a few of my classmates left Beijing about one week later. 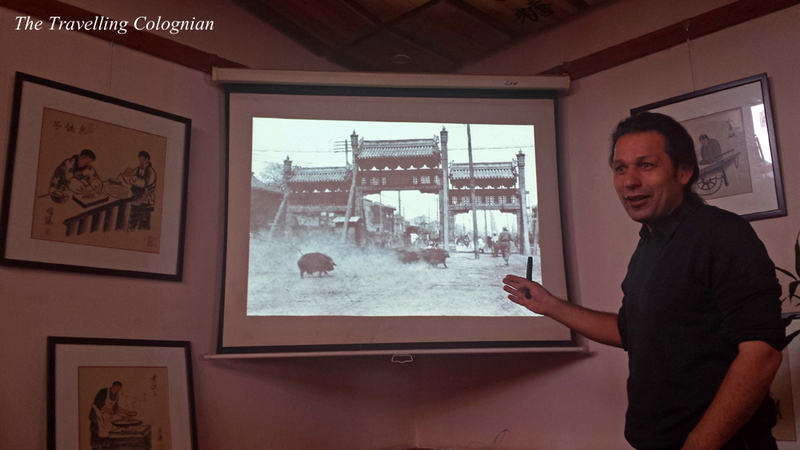 On the third Advent Sunday I attended the “Beijing Postcards Talk: Beijing Arrivals” talk at “The Hutong”. 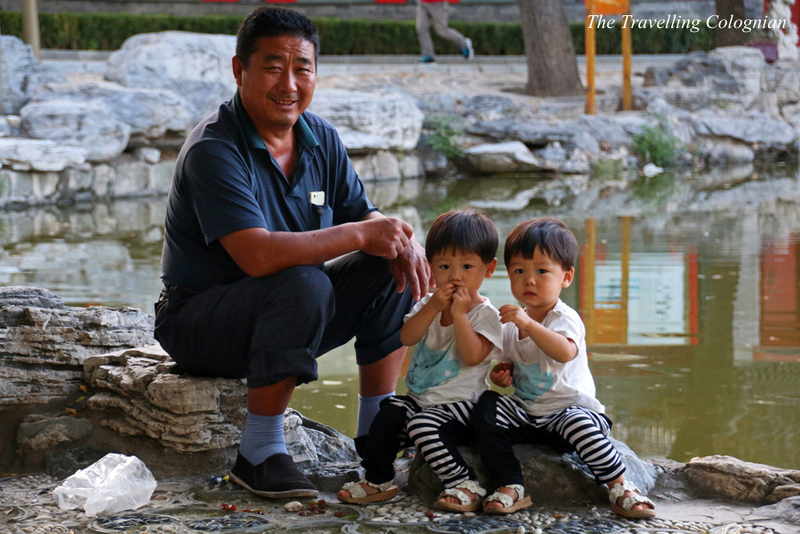 It was about the arrivals and lifes of Beijing residents who have been living in the Chinese capital for several decades or even generations. Two days later Kristin, Freddie, Simon, Alex and I met for a pre-Christmas lunch in a restaurant on campus. Thanks to Mill I finally dared to go to the hairdresser in Beijing. Due to the language barrier and because I am quite picky when it comes to hairdressers anyway, I had postponed this visit for quite a while. Mill, who speaks fluently Mandarin, accompanied me and made sure that the hairdresser didn’t make me look like a monster. I was more than happy with the result. 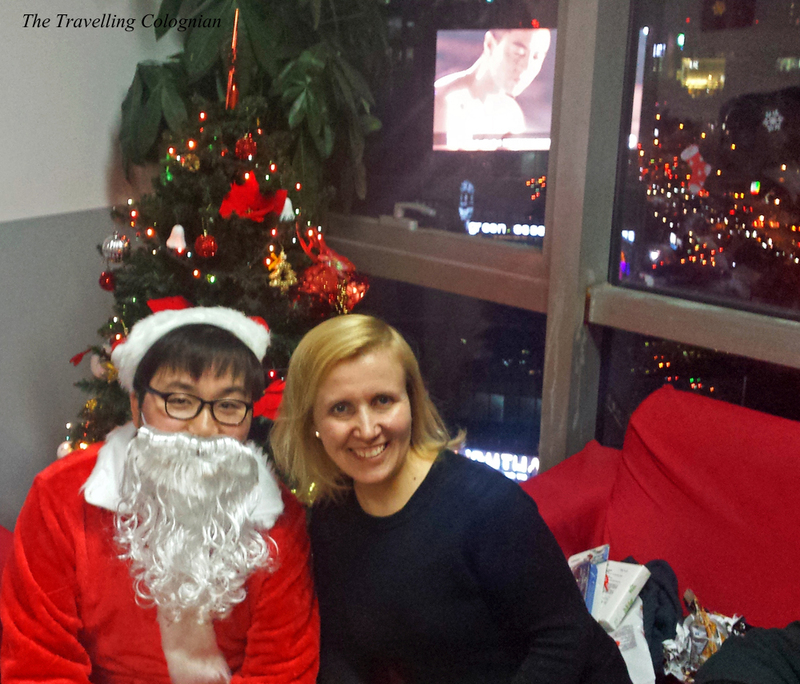 The Hutong School also organized a Christmas party with a real Chinese Santa, the Xmas game “Secret Santa” and with snacks and drinks. 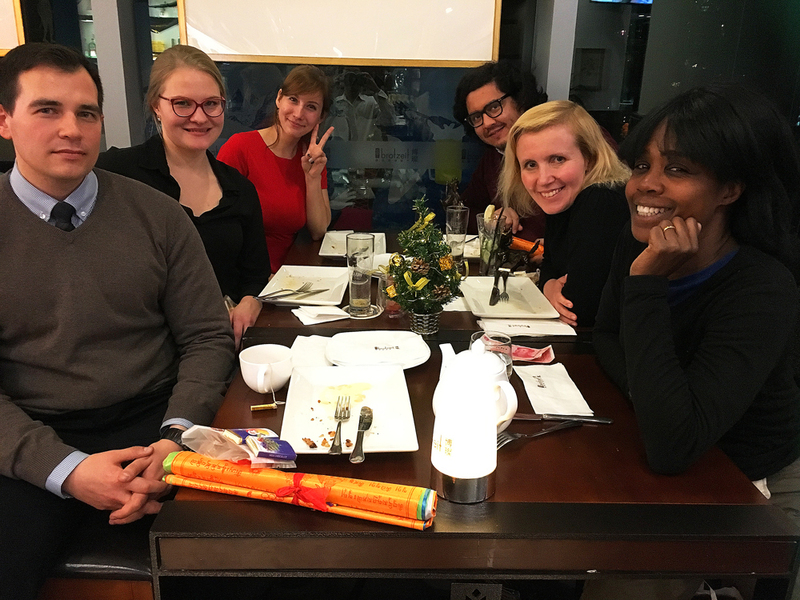 I celebrated Christmas Eve with Kristin, Freddie, Carlos and my friend Mill and with delicious food and drinks in a fancy restaurant at Guomao and subsequently at the “Circle” café on campus. It was my first Christmas far away from my family and I couldn’t have hoped for more lovely people to celebrate with. Short before the end of the year the institute where I studied at Renmin University organized a New Year’s Concert where Chinese and foreign students acted. 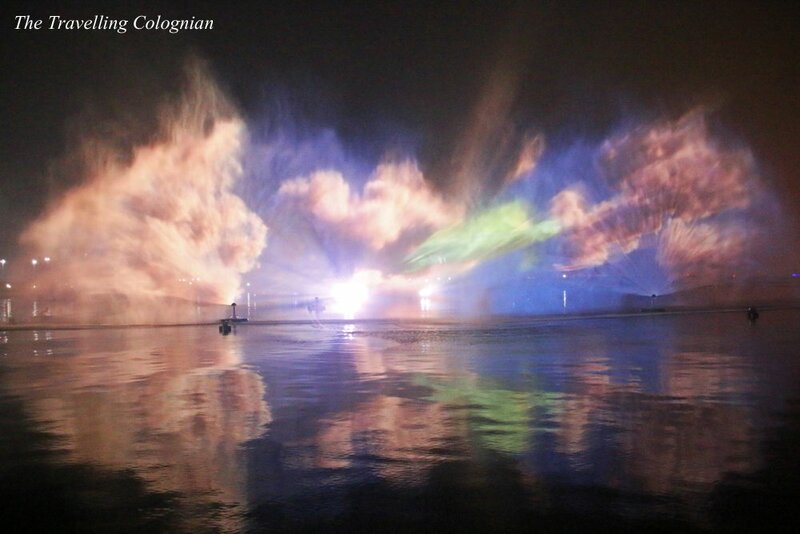 Two of my classmates also performed. 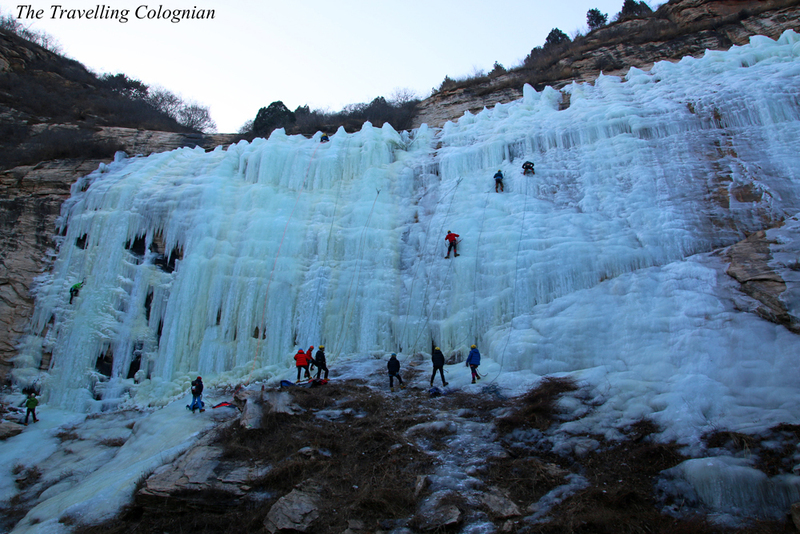 On New Year’s Eve I did a hike called “Immortal Valley Loop” in Miyun district together with Mill as a hiking guide. 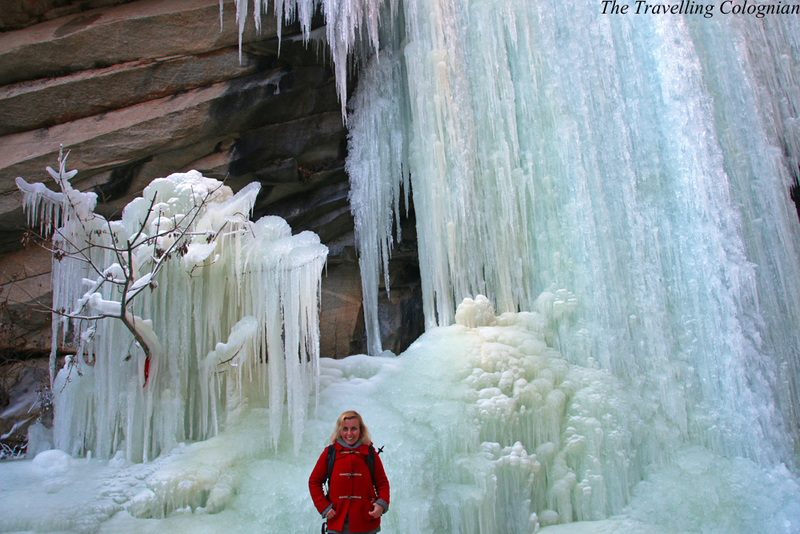 We made our way along a frozen river and passed by nine frozen waterfalls and wandered uphill until we reached a monumental Buddha head. From a viewpoint we had a stunning view of the valley. After our return to Beijing Mill and I indulged Hotpot for dinner. Since Mill had to work again the following day and beause I was really tired we went back home quite early. Since my childhood I hadn’t been in bed that early on a New Year’s Eve. Nevertheless it was the perfect end of a fantastic, exciting, eventful and very special year. For me 2017 was a year like no other. 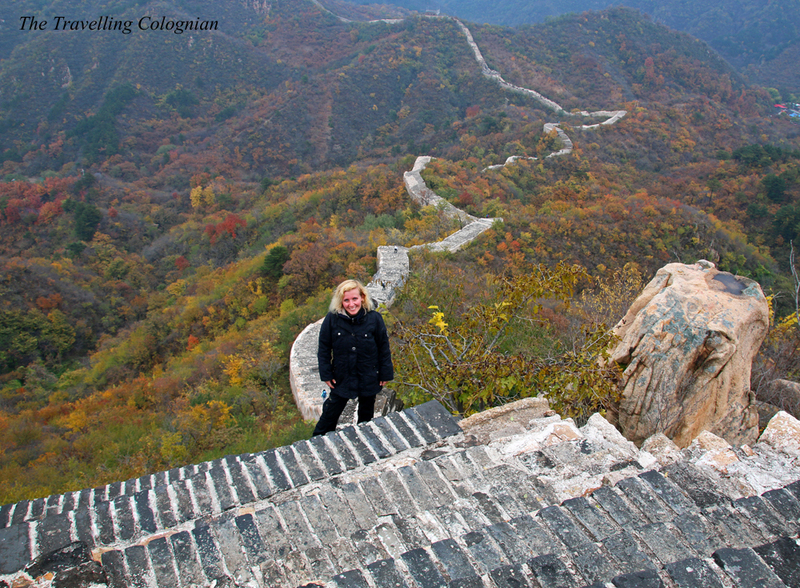 Living in Beijing and studying Mandarin at the Renmin University meant the fulfillment of a long-standing dream of me. 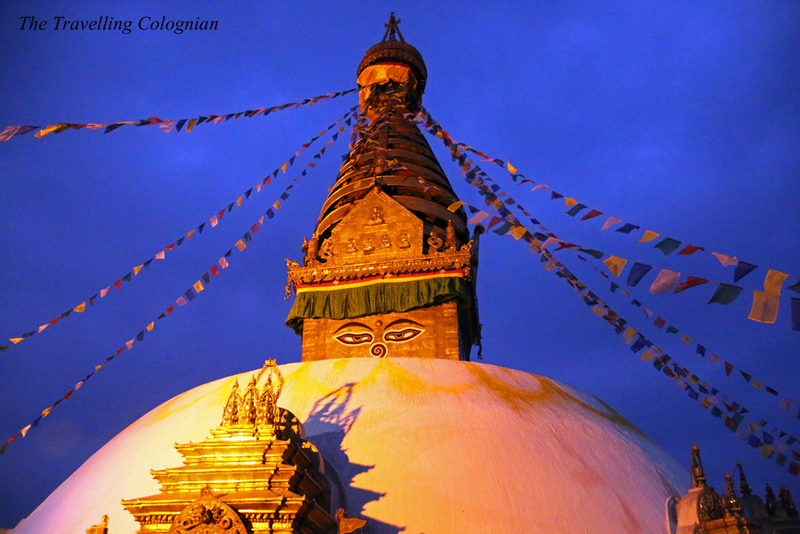 And Bhutan was a country which I wanted to discover for years. 2018 has started greatly as well. I flew to Harbin where visited the Harbin Ice Festival and I was invited to a Chinese friend’s home for dinner in Beijing. 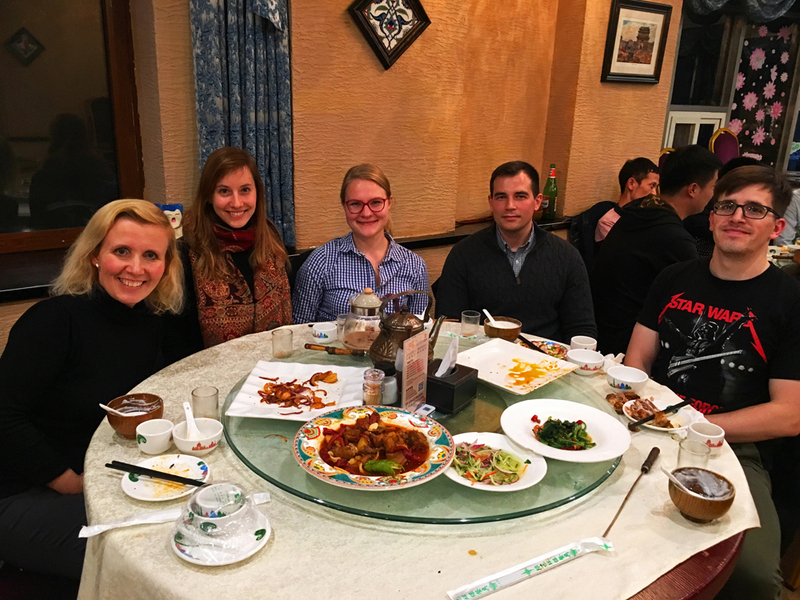 Unfortunately my time Beijing is over now but I had a fantastic farewell dinner with Mill and my friends from Renmin University and a great farewell two days later. On my way back home I again spent two nights and three days in Dubai. 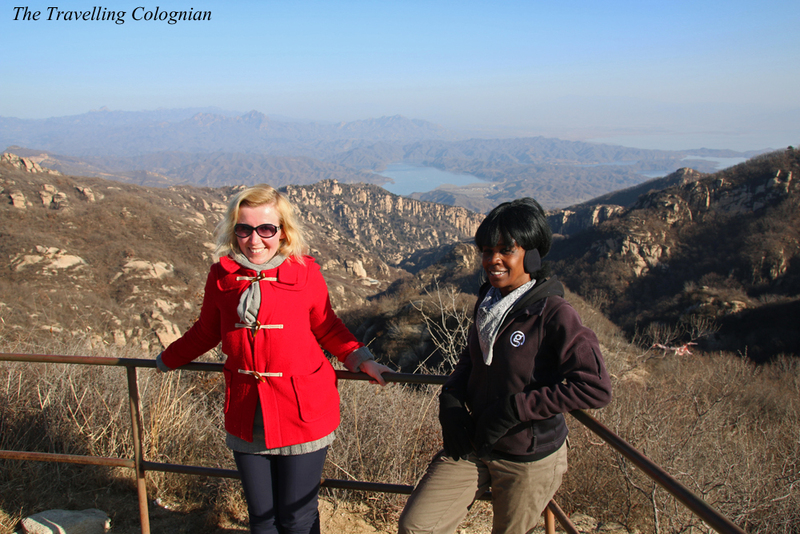 Last year I didn’t blog that much as I hoped but the months before my departure to Beijing were really busy and my time in China simply flew by. Furthermore the internet connection in my accommodation in Beijing wasn’t for free and quite unstable and I didn’t have the quiet environment which I prefer when working on my blog. But now since I am back home I plan to write blog posts more frequently. There are so many great stories to tell. I hope for a continuing happy, healthy, exiting and eventful year 2018 with lots of positive experiences. I hope to spend time with my longtime friends but I also hope to see those friends again who I just met last year. I hope, you had a great start to 2018 and I wish you a happy, healthy and peaceful year with lots of beautiful journeys and great experiences. How was your 2017? Did you have a good start into 2018? Sounds like you had a busy yet very exciting year! Here’s to another interesting year for travels and work! Thank you so much, Bama. I also wish you a happy, healthy and fantastic year 2018 for travels and work.